The Cadborosaurus Willsi is the name of a sea serpent which has been spotted many times off the Pacific coast of the northwestern coast of North America. The creature is named after the Cadboro bay in British Columbia. 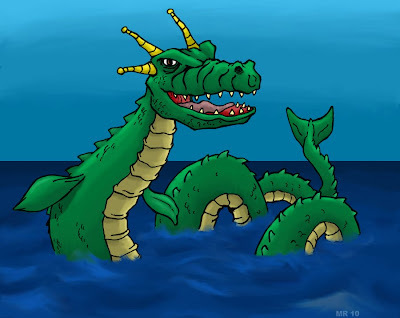 The monster is described as very long, with several humps or coils, a horse-shaped head, flippers, and a fan-like tail.